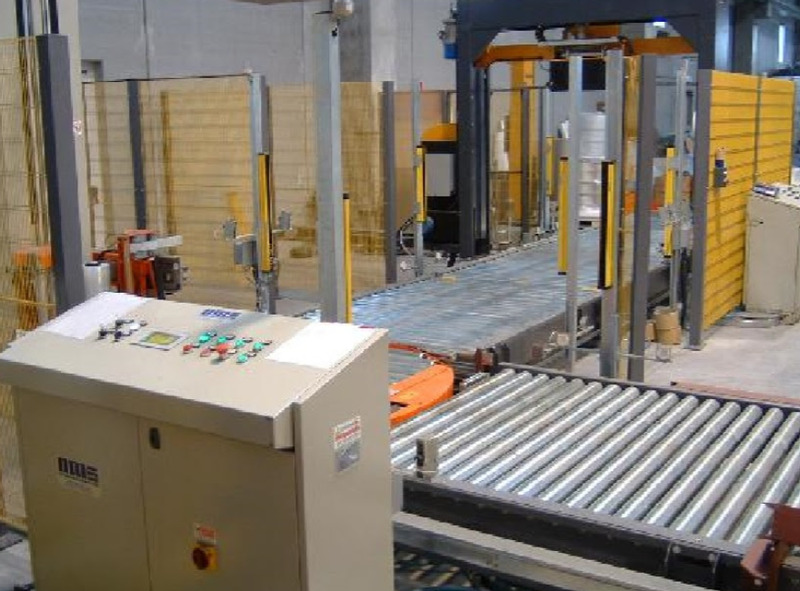 of year 2004, 1500 kg/ pallet max. capacity. 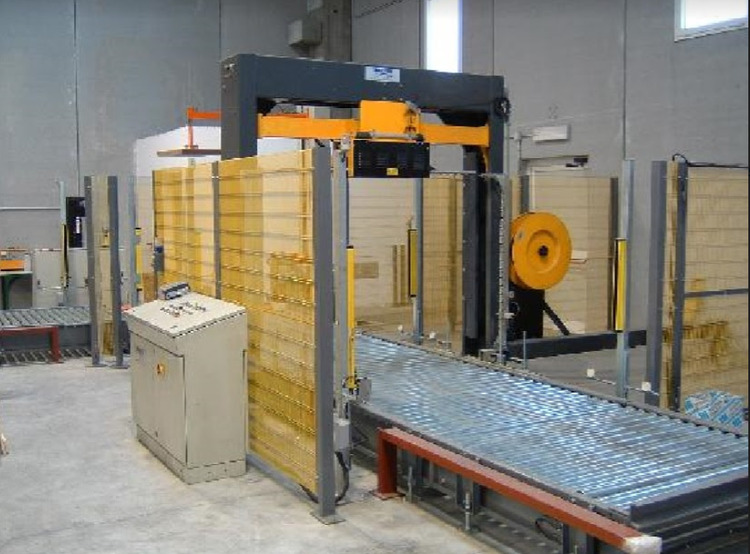 This line includes: inlet driven roller conveyor with sensor for the pallet presence, pallet wrapping system with shrink film for pallet size of max. 120 x 140 x h150 cm, outlet driven roller conveyor with load cells and certified weighing system. With vertical strapping system, outlet driven roller conveyor with sensor for the pallet presence, with protection systems by photo cells.